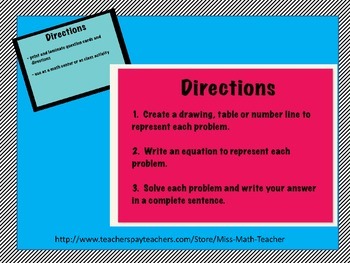 Students need experience with all of the problem types . 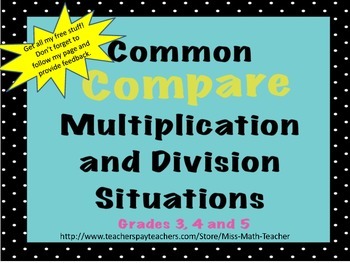 This activity can be used in a variety of ways in your classroom. This purchase includes 3 story problems of each of the compare situations. There is an answer key and direction card provided.